At Caspersen Door Systems, we have been specialized in garage doors and door openers in the Cape Cod area since 1955. We stand out from the competition by providing top quality products and personalized customer service. 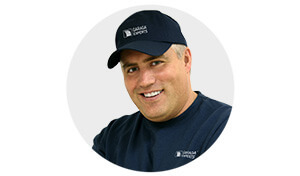 To satisfy your garage door needs, we offer you nothing less than the finest brand, Garaga! In steel or in aluminum, and with a wide range of models and colors, you are sure to find the garage door to perfectly fit with your home’s architecture. Visit our image gallery now and view over a hundred different garage doors styles! Come to visit our showroom located at 1 Jonathan Bourne Drive. Our devoted team will be happy to evaluate your needs. Whether your project is residential, commercial or industrial, we can easily handle it. If you’d like to get a price, complete our online quotation form today. Maybe you don’t realize it, but your garage door is the biggest moving door of your home! To get a top-performing garage door system, your door opener has to be carefully chosen. Receiving advice from a professional is essential in making a smart choice. At Caspersen Door Systems, our well-trained team will be glad to recommend the best model to suit your needs and your garage door choice. We carry and recommend the leading brand, build to last: LiftMaster. Manufactured by The Chamberlain Group, these products are made with the highest levels of safety at each production step. They also use robust component to make the most reliable and strongest motors on the market. See the complete range in our opener section. We offer models for both residential and commercial installation. Does your garage door or your door opener need any repair? If it does, call us right away! At Caspersen Door Systems, our technicians are well-trained to effectively repair or replace your garage door. On top of that, our Garaga Expert certification is more proof of our knowledge to properly install or fix your garage door. Whatever your garage door brand is, we repair all makes and models. You can also keep your garage door in top working order with one of our maintenance programs. This is a smart way to prevent emergencies and extend the age of your door system. We proudly serve the Cape Cod area including Falmouth, Bourne, Mashpee, Sandwich, Hyannis, Centerville, Osterville, Cotuit, Orleans, Brewster, Dennis, Yarmouth and Chatham. We look forward to serving you soon. Falmouth, Barnstable, Bourne, Cape Cod, Mashpee, East Sandwich, Sandwich, Martha's Vineyard, Buzzard's Bay, Hyannis, Centerville, Osterville, Cotuit, Marstons Mills, Orleans, Brewster, Dennis, Yarmouth, Chatham, Harwich.